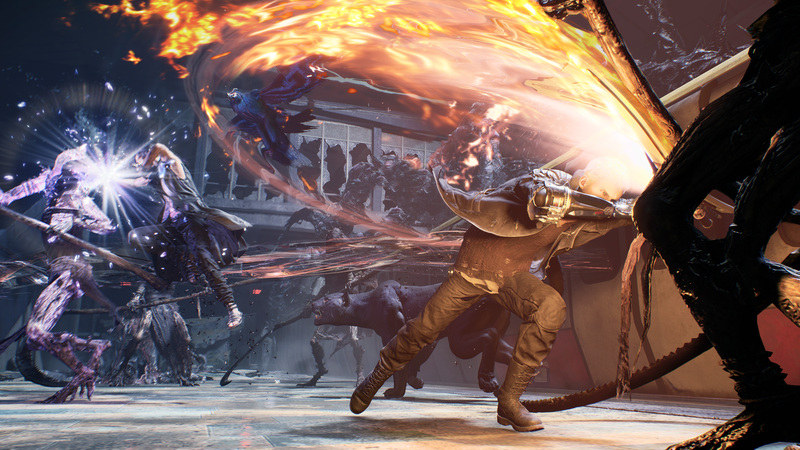 In other Devil May Cry 5 news, director Hideaki Itsuno has said that he’s looking forward to players’ feedback and videos on social media when the game releases. During a year-end interview with 4Gamer, he revealed that he’ll be preparing for his next title after April 2019, following the release of Devil May Cry 5‘s Bloody Palace mode. Soon we will complete Devil May Cry 5, the first numbered title in the series in 11 years. I’m putting everything I have into it and am looking forward to everyone’s feedback. Unlike previous entries, the hurdles of sharing videos and the like have lowered, so I’m really looking forward to seeing everyone’s superplay videos on social media. After its release on March 8, and after checking the free update coming in April, I’m going to refresh and prepare for my next title. I hope to work hard so that my next title meets everyone’s expectations, and so that I can announce it as soon as possible. Devil May Cry 5 will release on the PlayStation 4, Xbox One, and PC.